Tokyo is stunning both day and night. If you've been dreaming of planning a trip to the wonderful nation of Japan, there is no time like the present. The Land of the Rising Sun, while perpetually beautiful, has recently been named one of Lonely Planet's Best in Travel destinations of 2016, praised for its ability to offer travellers a taste of ultra-modern sophistication and culturally rich heritage sites. 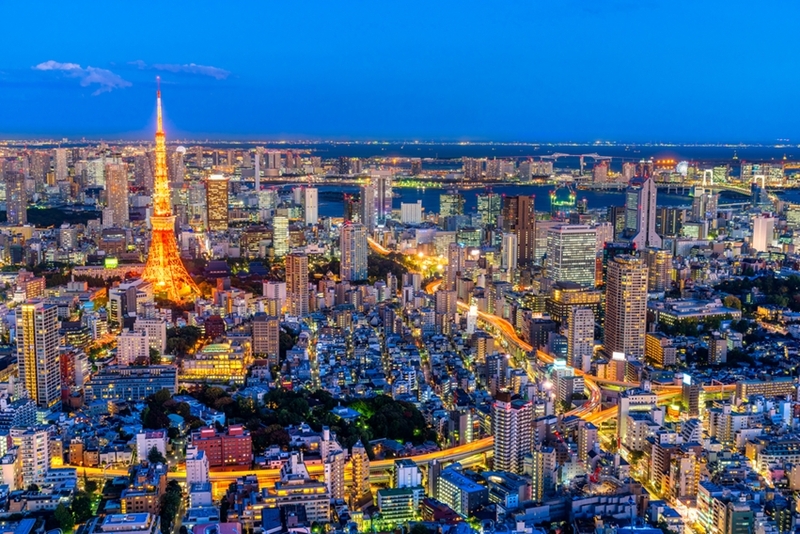 At the heart of any voyage to Japan is a view of the enigma that is Tokyo. The nation's largest city had its origin as the fishing town of the Edo period, earning the title of Japan's capital when the Emperor established himself here in 1868. Now the city is home to an astonishing population of over 13 million people, as well as one of the most impressive urban landscapes found the world over. What is the best way to explore Tokyo? If you are planning to see Tokyo as part of your trip to Japan, the best way to do so is by using the local Metro system. Akin to the London Underground, Paris Metro or New York Subway, this rail system covers an impressive amount of this sprawling city, allowing you to get from one attraction to the other without having to brave the traffic. However, unless you plan on getting a ticket for every single journey, a far more efficient way to do things is to get a pre-loaded Suica Card from Rail Plus before you leave, so you can arrive in Tokyo ready to see the sights. You can load your Suica Card as many times as you like, topping it up at the station's ticket vending machines and kiosks to a maximum amount of 20,000 yen. Please note that you'll need to use Japanese yen to load the card, as credit cards will not work. How do I use my Suica Card? Using the card is simple. Approach the ticket gate and hold your card to the reader - it will register which station you got on, and automatically deduct the appropriate fare once you disembark at your destination. Costs will vary depending on the distance of your journey, and can range from 170-310 yen. You can use your Suica Card on the subway, buses, JR East lines and the Haneda Airport Monorail. If you are planning on seeing more of Japan by rail, you'll be interested to hear that the Suica card can also be used in regions such as Hokkaido, Sendai, Tokai, Kyushu and Niigata. You can get a Suica card when you buy a rail pass or you can buy it in Tokyo. But as you buy it here with 1500 yen you may as well start with it. They are easy to top up ("charge" on the machine) and there are a lot of you tube videos to show how to do that and use it. (4) You can buy drinks and whatever at some machines. Í understand that Suica fares are less than paper ticket fares but have not verified this. It's a convenience thing for me. There are two systems in Tokyo - Suica and Pasmo, but a Suica will work on the Pasmo network no problem. You can use Suica on Tokyo JR trains as well as Tokyo subways, but take care not to use your Suica when you have a local / current JR railpass getting you on for free. Despite rumours, SUICA is no good in Kyoto. 'It's really a Tokyo and area card. You can use it to go quite some distance - like Tokyo Kamakura return, or Kawagoe, - just make sure you top up before you go (use Hyperdia or similar to cost fares). Any rare no-Suica line will have a no-suica sign.